Simon Patrick ODonnell (born 26 January 1963) is a former Australian cricketer, VFL footballer, and horse racing and cricket commentator. He is currently a horse breeder. ODonnell played as an all-rounder for Victoria in the Sheffield Shield between 1984 and 1993, scoring a century in his first match. He went on to play 6 Test matches in 1985, 5 on the Ashes tour of England and one at home, but with a low bowling strike rate in 5 and 4 day cricket, he was more successful in the shorter form of the game. Seen as a limited-overs specialist with clever medium pace bowling and explosive lower order hitting, he played 87 ODIs between 1985 and 1992, scoring 1242 runs and taking 108 wickets in his career. He played in Australias 1987 World Cup Final victory and was a significant wicket-taker and finished the World cup as Australias most economical bowler, but soon after he suffered severe pain that was diagnosed as non-Hodgkin lymphoma. He recovered with treatment to return to the Australian One-Day team in the 1988–89 season and played 43 more limited-overs matches till 10 December 1991 and claimed 56 wickets and made 5 match winning 50 plus scores including the fastest half-century in One Day Internationals (18 balls v Sri Lanka, Sharjah, 1990, which lasted for 6 years until Sri Lankan Sanath Jayasuriya scored 50 from 17 balls v Pakistan at Singapore on 7 April 1996). ODonnell maintained a very good batting strike rate of 80.96 runs per 100 balls in ODIs, almost double his scoring rate in Tests. He was captain of Victoria for five seasons from 1988–89 until his retirement in 1993. This was a mixed period, which included a Sheffield Shield victory in 90–91, but Victoria also finished last in 1988–89, 1989–90 and 1992–93. ODonnell hosted Melbourne radio station Sport 927s morning program with Kevin Bartlett until 2004. 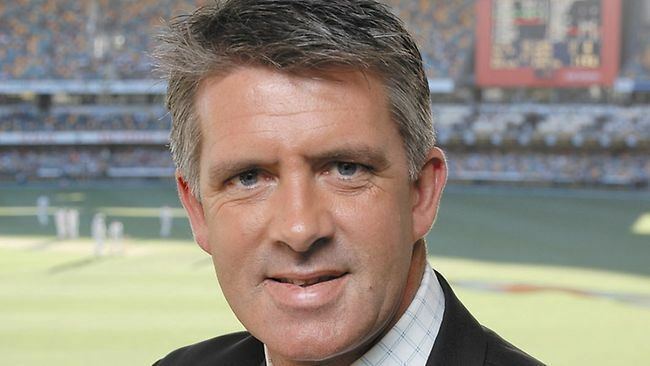 With the Nine Network, ODonnell has been a commentator of cricket and now presents The Cricket Show. Having owned and managed race horses through his company, ODonnell Thoroughbreds International, he is also used as an expert on horseracing on Nines racing coverage.